Planet Tiger undertakes to implement all possible means so that the Siberian tiger, Sumatran tiger and the Bengal tiger (or Royal Tiger) perpetuate. 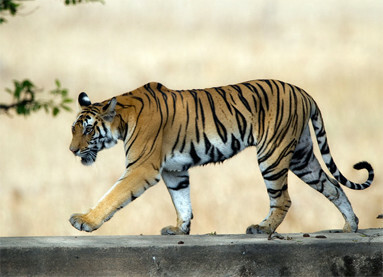 It needed a beginning: India opened its door to us, and now the Bengal tiger can survive there. Planet Tiger has begun a long-term project, in cooperation with those who know the terrain and invest themselves consistently every day. Our credibility consists in the development of structures on site, coupled with concrete help. This comprises of equipping the Rangers and Forests departments with clothing and footwear appropriate for their missions, correct vehicles for travel, fencing, maintenance and monitoring of existing parks to deter poachers. The Bengal tiger is the most common subspecies in India it is threatened with extinction, on one hand partly by their natural habitat shrinking or the complete absence, and on the other hand by the overpopulation of the country. 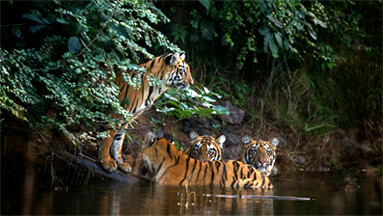 In protecting tigers, we encourage the creation of protected areas for them to survive in their natural habitat. This amounts to emphasisng that between flora and fauna, there is an interdependency that, at present, is paramount! To let the animals live is an act of awareness. It does not mean to simply have compassion but to maintain a natural balance, vital for harmony to which many NGOs have already reported. Save the Bengal Tiger, this is for example the establishment of safe corridors in partnership with the Indian authorities. These are reserve "buffers" that will emerge, thus favoring the maintenance of existing reserves, as the Bengal tiger that lives outside of these areas, have suffered heavy poaching. The implementation of these corridors requires financial support. They preserve the reproduction of the tiger, according to its kind, avoiding inbreeding, detrimental to their survival in the long term. Release funds, stop poaching and illegal trafficking, restore natural habitats for the last tigers. These actions require an intelligent mobilization by all, and for a great cause: the survival of tigers and the conservation of the ecosystem. 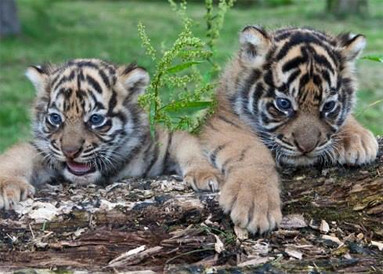 Saving tigers also educates children. Our association has the project Tigers, children of hope. It is an educational program for children of people living in the presence of tigers in partnership with Wild live trust of India. The idea is simple: raise awareness to a large proportion of children living on reserves or nearby, with the desire to make them understand that it is essential to protect and save tigers in their natural environment. This program allows us to collect information about the behavior or actions of some villagers, sometimes prone to poaching or imprisonment of the big cats. 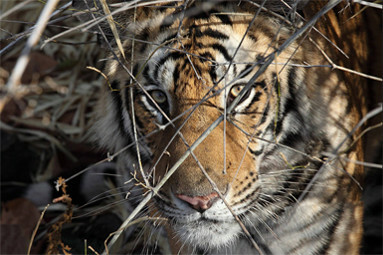 Ultimately, Planet Tiger wants to extend the project to the 13 countries where tigers are identified, such as Russia. What we have already done on the spot. Financing a fax for professional use for Belinda Wright (WPSI) in India, purchasing over 600 pairs of safety shoes for Departments and Forest Rangers, compensation of more than 120 Indian villagers (over three years)... This is what Planet Tiger has achieved in recent years. Planet Tiger does not act alone. In addition to numerous meetings with the Ministry of Environment or Interpol, Planet Tiger is closely linked with international NGOs, not to mention police representatives from thirteen states. This collaboration also involves major media events, such as in Paris on February 2014, at the foot of the Eiffel Tower, along with Nicolas Hulot in the destruction of several tons of contraband ivory.